A 13-year-old girl and a 15-year-old boy were among five people charged Saturday in the death of a man found in a Queens park, and sources say his death may be linked to the MS-13 gang. Ken Buffa reports. 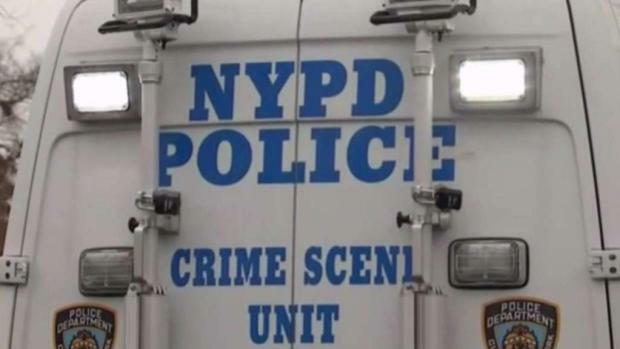 A 13-year-old girl and a 15-year-old boy were among five people charged Saturday in the death of a man found in a Queens park, police said. Ian Cruz, 23, lived about a mile from Bayswater Point State Park, where his body was found Dec. 16, the NYPD said. He had been shot multiple times in the head with a .22 caliber gun, according to a criminal complaint. Sources close to the investigation told News 4 the killing may have been linked to the MS-13 gang. All five of the accused were arrested in their shared bedroom in Far Rockaway, the criminal complaint said. Also in the room was the .22 caliber gun and more than 900 live rounds of ammunition, according to the complaint. Five people, including a 13-year-old girl, are under arrest in connection with a body found in Bayswater Point State Park. Wale Aliyu reports. Police said four of the suspects were charged with second-degree murder and criminal possession of a weapon. A fifth was charged only with criminal possession of a weapon. All five had been arraigned and were being held without bail, the Queens district attorney's office said. A 13-year-old girl and a 15-year-old boy, whose names weren't released, were charged with murder, police say. They were charged as adults, prosecutors said. Also charged with murder were Carlos Guerra, 18, and Yonathan Sanchez, 22. Elmer Guttierez, 18, faces only the weapons charge. Attorney information wasn't immediately known for any of the suspects. 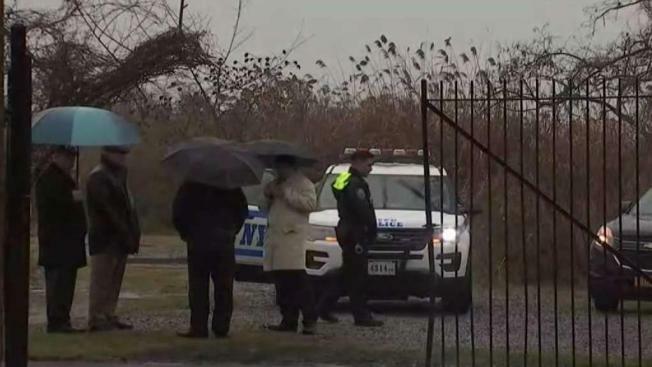 A man's body was found in a Queens park wearing only socks and underwear, cops say. Ida Siegal reports. Cruz's body was found wearing only socks and underwear, police said. He had trauma to his head and body. Four "projectiles" were removed from his body during an autopsy, the complaint said. Firearm analysis found the bullets in his body were from the weapon seized in the suspects' room, the complaint said. The complaint also cited surveillance video and statements by the suspects.